This week has some smaller updates: Google Photos (finally) supports Google+ Brand Pages on desktop, the AdSense Android app gets a material design update, YouTube opens a Hindi help forum, and Google Slides makes it easier to present to Hangouts from your mobile device. Google has made it easier to report robo-callers pretending to be Google. 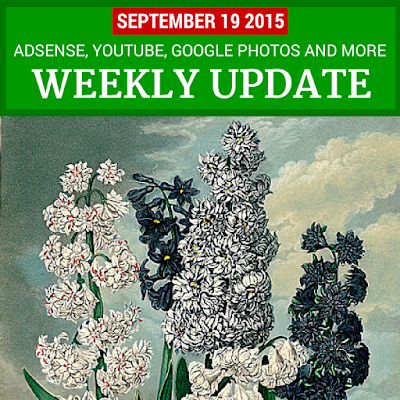 Plus there are more tips and updates for YouTube, Google+, Google Photos, Hangouts, webmasters, and more. New! YouTube Creators : Looking for help in Hindi? YouTube सहायता फोरम is now open! Tips: Have a new YouTube channel? The "Foundations for Success" Creator Academy Bootcamp will teach the fundamentals of creating - and maintaining - a successful channel! Excited by self-driving cars and Project Loon? Google[x] is hiring!